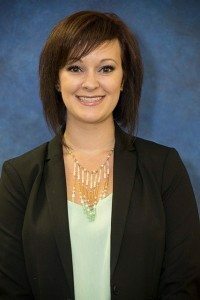 Brandy began her career with GoodWork Staffing as a Staffing Specialist in the Charlotte office in 2014 and was later promoted to Territory Sales Manager for the Gastonia branch that year. In 2017 she was promoted into management and given full responsibility for overseeing the Gastonia branch. Brandy’s career in sales began immediately after graduating college as a Senior Account Manager for a third-party marketing agency. Brandy later made the decision to be a stay-at-home mother just before switching gears and diving into the staffing industry by joining the Goodwill team! Brandy is a Western Carolina University alumni, and graduated with honors with a Bachelor’s Degree in Business Administration and Entrepreneurship and a minor in Marketing. A Gaston County native, Brandy is passionate about serving the businesses and citizens of her community and is thrilled to be with an organization that creates a positive impact! In her spare time, Brandy loves spending time with her husband and daughter, family and friends! She enjoys music, movies, reading, art, and learning new things. She is extremely goal-oriented and loves a good challenge!